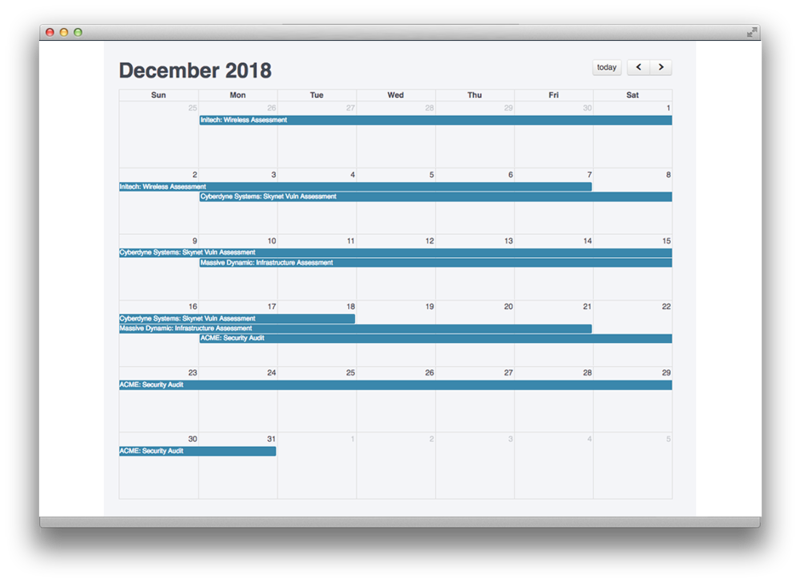 Project Scheduler shows team availability and project timelines to create smarter plans for you and your team. Know which project needs your attention now and get started without leaving Dradis. The monthly view gives visibility of your workload, making it easier for you to plan. Role-specific access permissions show only the projects you are assigned or administrating on the calendar. The Project Scheduler add-on is included as part of the Assess, Remediate, and Enterprise service tiers. Stay ahead of project deadlines.